by Jonathan H. Harwell — Against the Grain published a special issue on this topic in 2011. Where are we now? by Debbi Dinkins — This gives us a look at selection from librarians and teaching faculty perspectives. Which category chooses wisely? by Dara Elmore — Is the DDA of eBooks a less costly method, in terms of cost-per-use, than eBook approval plans? by Lindsey Reno — Lindsey suggests incorporating acquisitions into reference interviews and research consultations. by Andrew Welch and Teri Koch — What is the proper mix of “just-in-time” and “just-in-case” purchasing on monographs? by Sarah Forzetting and Erin Gallagher — Is consortial PDA a viable contender in the future of collection development? by Tony Ferguson — Tony thinks publishers should consider abandoning the old ways. Founding Partners, Information Power Ltd.
Monographic Musings by Deb Vaughn — This month, read about issues pertaining to eBooks in William Joseph Thomas’ review of Sue Polanka’s No Shelf Required 2. Reviews of Reference Titles by Tom Gilson — Tom reviews The Encyclopedia of Diversity in Education, Guide to U.S. Foreign Policy: A Diplomatic History and there is even more! Copyright Column by Laura Gasaway — What impact does the HathiTrust decision have on academic libraries? And more! Open Access Monographs and the Scholarly Communication Ecosystem by Alex Holzman — Alex focuses on the costs of publishing monographs and the “free rider” phenomenon in the world of open access. The Twenty-First Century University Press: Assessing the Past, Envisioning the Future by Leila W. Salisbury — Drawing on her panel from the 32nd Charleston Conference, Leila says she is heartened that we all agree that university presses have the enduring mission of producing peer-reviewed high-quality scholarship. 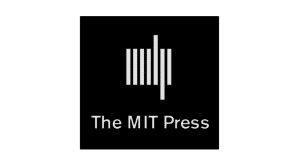 by Doug Armato — Along with a history of the university press, Doug stressed the growing importance of university presses in the evolving scholarly environment. To Check-in or Not to Check-in by Barbara M. Pope — This study explores the prevalence, purpose, and relevance of print serials check-in in libraries worldwide and asks if change is needed. Reports of Meetings — Frankfurt Book Fair, OLAC, and the final reports from the 31st Annual Charleston Conference. What Are Our Obligations (These Days)? by Jesse Holden — Jesse poses some key questions about our obligations to each other and to the profession. In the House of Wind and Rain by Scott A. Smith — Langlois is a small town blessed with a good library and a good library director. by Bruce Strauch— What do barbecue and bird-watching have in common? Read about it here! Poland by Donna Jacobs — Donna tells us about five Nobel Laureates from Poland. Manuscripts in Medieval Studies by Dr. Susan Steuer — Books we need to keep in our collections. Building an Investigative Culture and a Meaningful Tool by Gracemary Smulewitz — Rutgers is currently participating in a beta project of EBSCONET’s Usage Consolidation tool. Shared Print Collections Reaching Maturity by Sam Demas — This month Sam takes a look at the evolving “big picture” of shared print collections for journals and for books. Does the Focus on Banned Books Subtly Undermine Intellectual Freedom? by Bob Holley — Bob shares with us four concerns he has about the focus on banned books. At the Only Edge that Means Anything/How We Understand What We Do by Dennis Brunning — Dennis shines his flashlight on Google and some of the sessions in the Charleston Conference.